Forward II, mixed by Dazzle - out now! Thread: Forward II, mixed by Dazzle - out now! 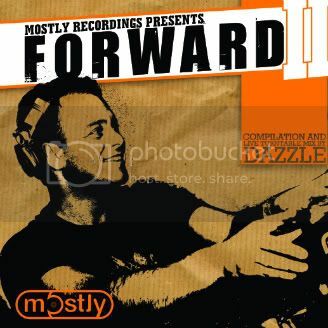 Forward II is the 10th compilation mixed by Dazzle. It is the obvious next step in the continuing musical journey that this Dutch dj/producer set off already years ago. His love for trance, progressive and house is embedded in every compilation mixed by Dazzle, since 'Freedom, A Celebration of Life' was released. On Forward II Dazzle combines his very love for electronic dance music and the vibe he creates on the dance floor with his superb mixing skills and his ability to read the crowd, into a CD which holds the best of uplifting and energetic trance, including some of Dazzle's latest releases from Armada, Vandit and Fektive. But above all, it gives you the dance floor experience in the privacy of your own space, in a way only a few djs can define on CD.